DeSean Jackson initially said no when students at Andrew G. Schmidt Middle School asked him to violate the NFL dress code by wearing purple socks during the entire month of November during Philadelphia Eagles’ games to raise awareness about pancreatic cancer. What changed his mind? 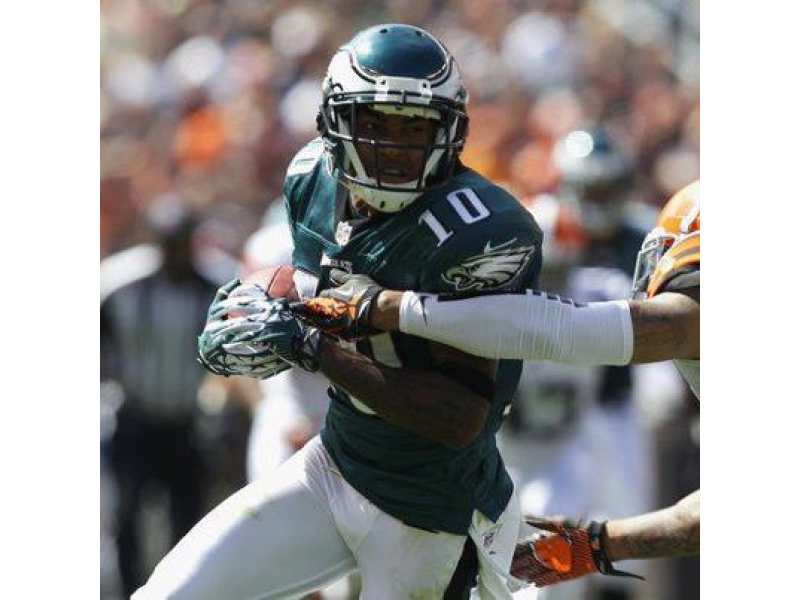 DeSean Jackson and his mother, Gayle Jackson, founded The DeSean Jackson Foundation in 2009 in memory of William “Bill” Jackson, DeSean’s father who died shortly after being diagnosed with pancreatic cancer. In October 2013, the Jacksons were contacted by Jill Smigiel, a teacher at AGS, through Twitter on behalf of several student athletes who were adamant about the fact that pancreatic cancer receives less funding for research and less national attention than other cancers; and, the life expectancy is less than other cancers. The students wanted to encourage NFL players to wear purple in November to raise awareness to pancreatic cancer, just as they wore pink across the league in October for National Breast Cancer Awareness. The students challenged DeSean Jackson to Stand Up for Pancreatic Cancer Awareness by being the first to wear purple socks during the month of November in the NFL. Mrs. Jackson advised the students that would not be possible. Then, students decided to advocate by wearing purple socks themselves in protest. Gayle Jackson was so impressed by their solidarity and advocacy that she convinced her son, DeSean, to help AGS develop a national platform so their voices would be heard. Thus, the AGS “Purple Out” has been embraced by the administration, faculty and student population; and, Monday, November 25th the students launched this historical, inaugural event. DeSean Jackson commends AGS for helping their students develop a life-long pattern of advancing the common good of becoming successful, purposeful members of society with empathy and compassion for the less fortunate. Andrew G. Schmidt Middle School (“AGS”) is a public middle school in Fenton Township with a student population of 759 students in grades 6-8; and home of the Fenton Tigers. Heidie Ciesielski is the principal at Andrew G. Schmidt Middle School. In May 2013, Ciesielski was named ‘The Best Middle School Principal” by the Michigan Association of Secondary School Principals.